Here are the 2 basic models. You can also check out the other variations of the comparison model by clicking the links below. 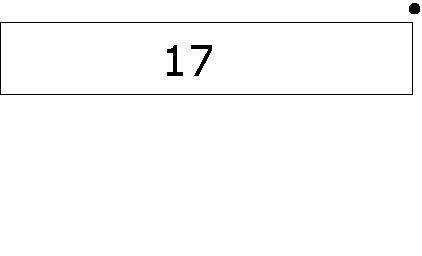 _________ more than 17 is 21. 4 more than _________ is 21. 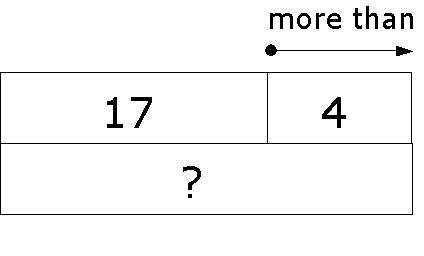 _________ is 4 more than 17. 21 is 4 more than __________. 21 is __________ more than 17. 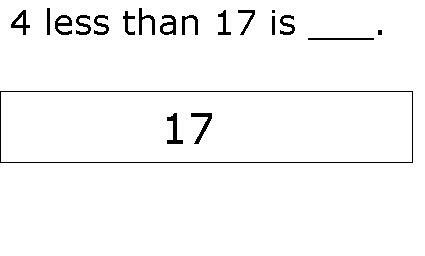 __________ less than 17 is 13. 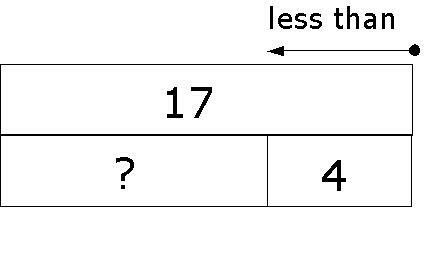 4 less than __________ is 13. __________ is 4 less than 17. 13 is 4 less than __________. 13 is __________ less than 17. 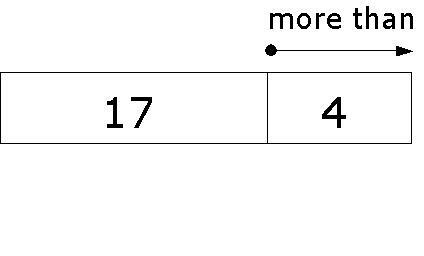 There are always three numerical values in such "more than" and "less than" questions, i.e., "4", "17" and "?". Step 3: Draw an arrow from the dot pointing to the right. (The arrow points to the right because it is a "more than" question. Step 4: Since it is "more than", we are actually making the number 17 (starting number) greater by 4. 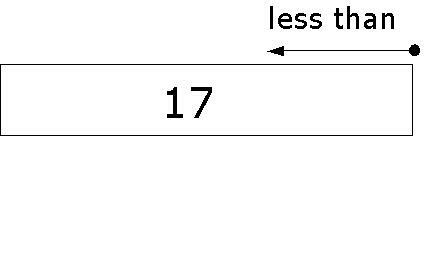 Hence, draw a second box directly below the arrow to show that the number 17 has been lengthened by 4. 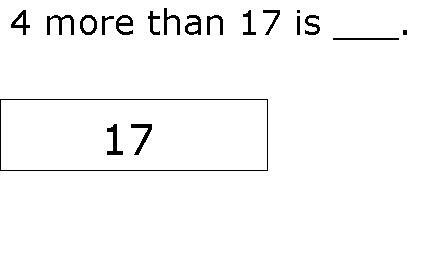 Thus, the answer is 21. 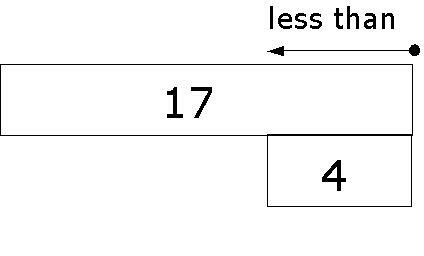 Step 4: Since it is "less than", we are actually making the number 17 (starting number) smaller by 4. 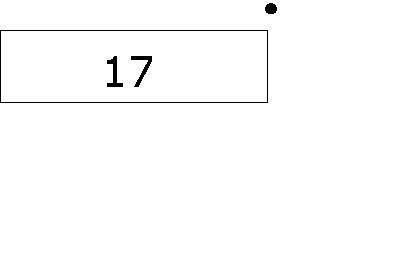 Hence, draw a second box directly below the arrow and the first box to show that the number 17 has been shortened by 4. Step 5: Draw a last box next to the second box to make the model form a rectangle and write the unknown number (?) in this box. Thus, the answer is 13.